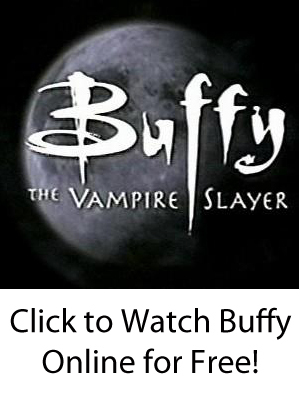 In “Buffy,” Darla (played by Julie Benz) is a centuries-old vampire who first appears in Season 1 as a the Master’s second-in-command before Angel stakes her when she tries to kill Buffy Summers halfway through the season. In “Angel,” the evil law firm Wolfram & Hart used magic to resurrect her in human form as part of a plan to trap Angel since the two had a long history together. Later, Darla sired her again, and the two go on a killing spree. Eventually, she becomes impregnated with Angel’s son, Connor, and stakes herself as she gives birth. Darla was originally a British prostitute in the sixteenth century who moved to the American colonies. She became wealthy but contracted a fatal case of syphilis. As she was dying, the Master visited her in the guise of a priest and sired her. The two developed something of a father-daughter bond. Later, Darla traveled throughout the world and met a young, Irish drunkard named Liam. After enticing him into an alley outside of a bar, she sired him and named him Angelus. The two traveled and killed, and eventually sired Drusilla and she sired William (Spike). The four became a group known as the Whirlwind. In the late 1800s, the four traveled to Romania, where Angelus raped and killed a daughter of a gypsy clan. In response, the village elder cursed him with a soul as a punishment so that he would remember all the people he had murdered. After Angel started changing into a remorseful vampire who could no longer kill innocent humans, a disgusted Darla left him and eventually returned to the Master at the Hellmouth in Sunnydale, California. Darla is the first vampire seen in the opening scene of the first episode of “Buffy” (she kills a former student who had thought he was taking a girl back to the school at night). She assists the Master with his plans and decides to kill the slayer. Darla goes to Buffy’s house, tells her mother that she is meeting Buffy to study, and then bites Joyce Summers and frames Angel for it. Buffy, having learned earlier that Angel is a vampire, decides to kill him in response. Buffy tracks him to the Bronze, and they fight while Darla is secretly watching. After Buffy decides that she cannot kill Angel, Darla takes a gun and starts shooting at Buffy. While Buffy hides, Angel stakes Darla. Three years later, at the end of the first season of “Angel,” Wolfram & Hart resurrect Darla. However, Drusilla makes an appearance and sires Darla into a vampire again. After they begin killing again, Angel and Darla go through a complicated process in which they hate and still have some feelings for each other. Eventually, Darla becomes pregnant with Angel’s child — and she stakes herself to save her unborn child’s life and to save the world from herself.